Use for mixed border plantings, cut flowers or containers. Store in cool, dry place and plant in spring after last frost date in areas where they are not hardy. 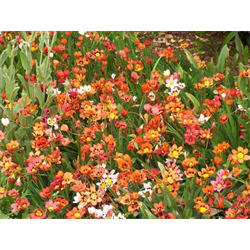 Pricing is per package and per variety for sparaxis bulbs (quantity discounts apply).